Q1: You advertise that you’re 24 hours a day does that mean I can call whenever? Unlike most local pet sitting and walking services, Wilson’s Give A Dog A Bone offers 24 hour services. Providing a free consultation has taken place, emergency bookings can be made no matter what the time providing there’s availability. We recommend if you’re considering becoming a client to register with us anyway – it’s free and means we have all your details and admin completed should any emergency circumstances arise. Q2: You say you have the best prices, how do you know this? After extensive market research, the prices Wilson’s give a dog offer are highly competitive and no known local company offers the services we do for our low prices. We also offer discounts for over 60’s, families with rescue pets and the disabled. We really want to do our best to provide local people with the best most affordable prices possible. Q3: What experience and qualifications do you have? I’m fully DBS checked which means I’m legally cleared to work in people’s homes and with the public. I have valid public liability insurance too. This means that both the client and I are covered should anything go unexpected. In addition, I’ve many years’ experience working professionally with animal rescues and have been heavily involve in working at kennels and rehoming animals. Q4: What are the benefits of in home pet sitting? Putting your pets into kennels or boarding services away from the home can be extremely stressful. Animals love routine and familiarity. I’m a huge advocate of in home pet sitting as I truly believe it’s in the animal’s best interests to keep to their routine which happens to be in the loving home you’ve nurtured them in. 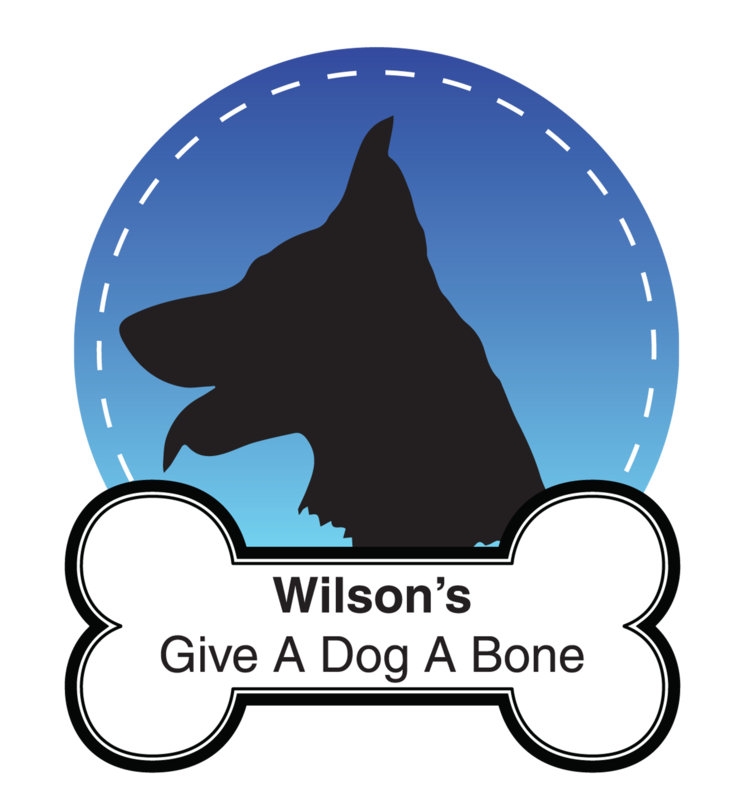 Having Wilson’s Give A Dog A Bone on standby can be a life saver in unexpected circumstances. Q5: How are keys returned? For addresses within a 4 mile radius of Skelmersdale we offer a free collect and drop off service for keys. If the client requires services over a long period of time it may be more convenient for both parties, to provide Wilson’s Give A Dog A Bone with a copy of the key. This is at the client’s discretion. Keys can be left in a safe place of your choosing or with a neighbour if the client decides this is their preferred method. Q6: If I book a dog walking service will my dog be walked alone? Yes. The only time I’ll walk your dog with another, is if your dog lives with another dog and if they enjoy walks together and you’ve given explicit permission for that to happen. Q7: I notice you charge £10 per hour or £6.50 for half an hour, why don’t you have a long list of prices? When opening my business I noticed that a lot of pet sitters have strange and confusing fees and I wanted to simplify it for everyone. £9 for the hour gets you whatever you feel your family pets need. This could be a 20 minute walk with the rest of the time playing, feeding, brushing or simply giving your pets a garden break. Likewise, you may just want a half an hour slot to allow for a walk. Q8: I don’t need a half an hour walk, 15 minutes would be fine? I’m fully flexible with durations and prices so please contact me for a personalized quote. Visit the “contact us” page for options on how you can reach me! Q9: What species do you cater for? I cater for any traditional household pets. For example: dogs, cats, rabbits, guinea pigs, hamsters, fish etc. Likewise, if you have an alternative pet please still feel free to get in touch and I’d be happy to try and accommodate where possible.